October is here and as the leaves start to change into their autumn hues, we thought that it’s about time that your Facebook timeline gets an update as well. This month, we’ve got 5 fantastic event production companies that we know will bring a much needed color boost to your timeline. Check them all out below! 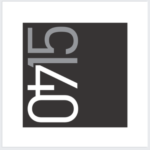 With offices in New York and Los Angeles, 15/40 Productions is dedicated to designing and producing world-class events for a wide variety of corporations, non-profit organizations, sporting venues, and more. Their team of innovative producers and creative event staff are committed to exceeding client expectations and prestigious companies such as Access Hollywood, Aston Martin, Conde Nast Media Group, and Louis Vuitton trust their work. Whether the need is for a red-carpet event for several hundred attendees or a corporate event for several thousand, they have the creativity and technical expertise to turn a client’s vision into a tangible reality. Follow and “like” them on Facebook for updates on what other projects they have coming up this season. Side note: some of these events will be swarmed by some of your favorite celebrities. Active Production & Design has been at the forefront of AV technology for over 25 years. Their dedicated event professionals work hard to establish long-lasting partnerships with their customers. 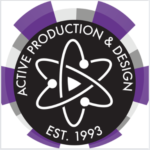 At Active Production & Design, their goal is to always ensure client satisfaction by effectively delivering each clients’ message. Through their years of industry knowledge, they are also able to offer consulting services for event-related guidance and recommendations. Because their work is done with the utmost pride, this Atlanta-based production company has won several awards. Their accolades include the Annual Sponsor Honors in 2016 and 2017 from the International Live Event Association (Atlanta Chapter) and the Diamond Award for the “Best Lighting” for two years in a row. Curious about their award-winning work? Be sure to follow them on Facebook today. 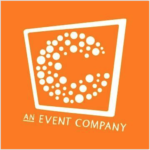 At Choura Events, their motto is to “Don’t be boring!” No one ever remembers a boring event, so going above and beyond idle imagination is their daily mantra. Like many of the “greats” in the event production industry, they believe that a single event CAN change lives and are on a mission to make their event experiences do just that. Based out of Los Angeles, they’ve earned some major bragging rights because the Special Events Magazine has recently listed them as one of the Nation’s “Top 30 Event Companies in the U.S.” Need more reasons to join their 4.2k following on Facebook? Well, they’ve also gained some recognition from the LA Business Journal as one of the Top 100 Fast Growing Companies in LA for a third year in a row. Way to go @chouraevents! 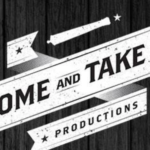 Based out of Austin, Texas, Come and Take it Productions provides full event production and promotional services to clients of all sizes. They produce specialized and custom-themed events that target specific needs and demographics. Their primary goal is to help national artists and booking agencies secure tour dates in the central Texas region, while also giving the up-and-coming local talent an opportunity to perform on a larger scale. Some of their events include the Texas Independence Festival and “Mosh for the Cure” which benefits the American Cancer Society. They’re constantly updating Facebook followers on their events, so be sure “like” their page to stay “in-the-know”. 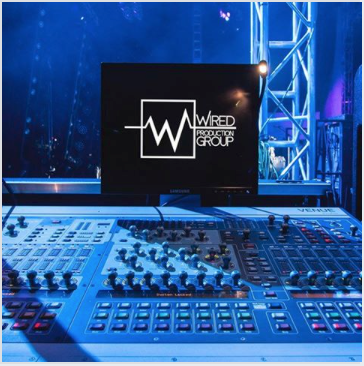 In 2016, two top-notch production companies in the Cedar Rapids, Iowa region combined forces to create what is now Wired Production Group. Wired Production Group stages unique and creative projects across a broad range of markets. They employ strategic processes to create events that enhance, engage and entertain audiences. Their team of talented artists is passionate about the work that they do and it shows. Check out this quick video explaining who they are and what they’re all about: Explainer Video. And, don’t forget to “like” their Facebook page!